Women who choose to cover their faces with a veil in court because of their religious beliefs should be shown respect, the UK's most senior judge has said. 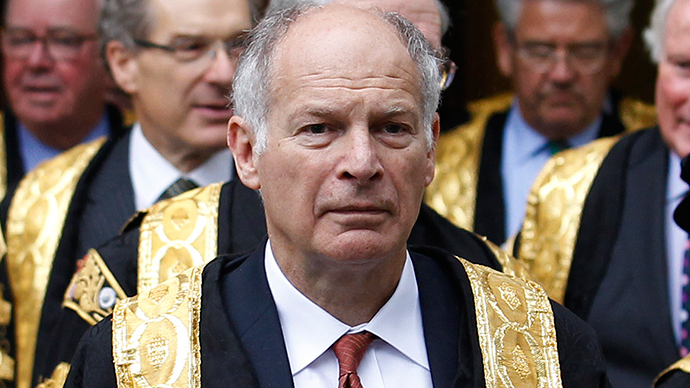 Supreme Court president Lord Neuberger said judges must have “an understanding of different cultural and social habits,” as part of their duty to show fairness and impartiality in trials. “It is necessary to have some understanding as to how people from different cultural, social, religious or other backgrounds think and behave and how they expect others to behave,” Lord Neuberger said. Addressing the Criminal Justice Alliance in a speech, ‘Fairness in the courts: the best we can do,’ he warned of potential biases and failures to remain neutral as a result of judges’ privileged backgrounds. “A white male public school judge presiding in a trial of an unemployed traveler from Eastern Europe accused of assaulting or robbing a white female public school woman will, I hope, always be unbiased,” he said. “It is necessary to have some understanding as to how people from different cultural, social, religious or other backgrounds think and behave and how they expect others to behave,” he added. Discussing the British legal system, the head of the country’s highest court said lawyers must always remember how “terrifying and intimidating” the process is to members of the public. He also raised some concerns and whether the British legal system could be improved. “I sometimes wonder whether our trial procedures really are the best way of getting at the truth,” he said. In 2013, a judge ruled that a Muslim woman was allowed to stand trial wearing a full-face veil, but must remove it to give evidence. Judge Peter Murphy made the ruling at Blackfriars Crown Court in London. Rebekah Dawson, then 22, had refused to remove her niqab and reveal her face in front of any man. She later admitted witness intimidation and was later jailed for six months after changing her plea to guilty.